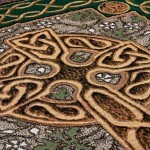 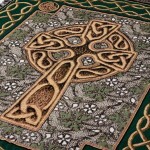 The Celtic Cross is the most ancient, emblematic and authentic symbol of Ireland. 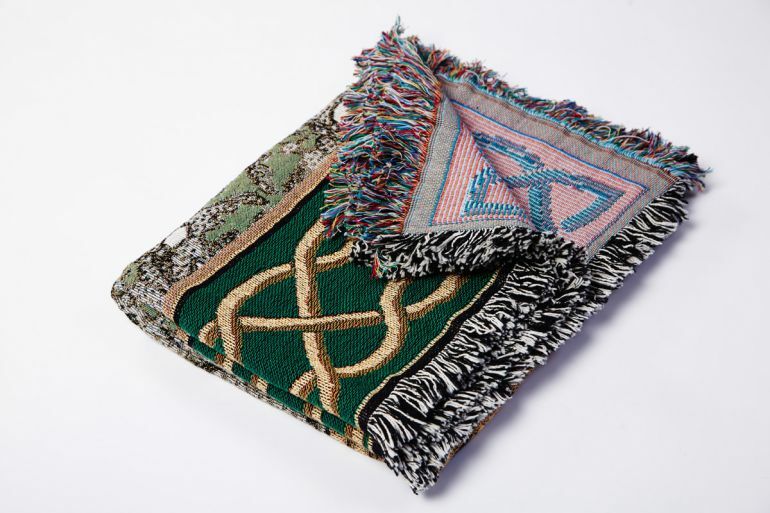 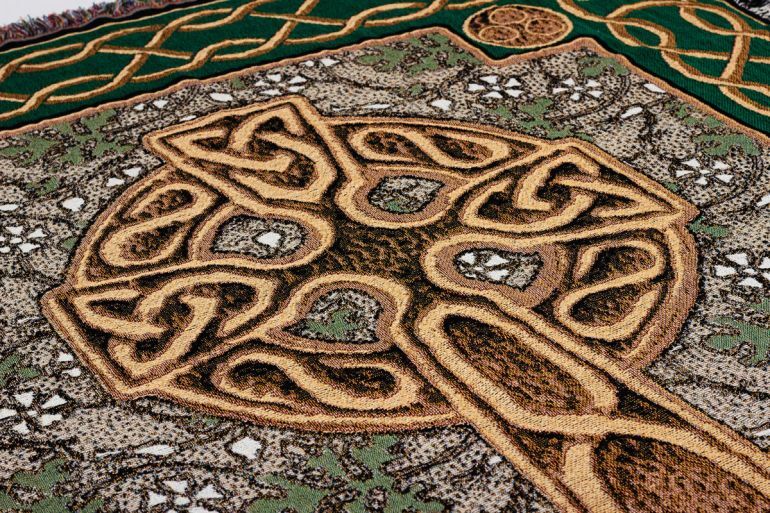 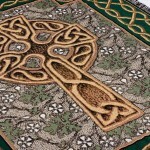 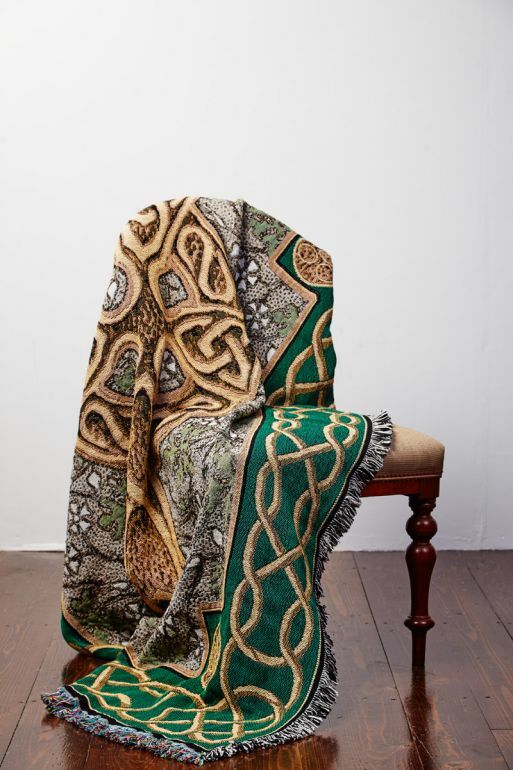 The gilded cross is the focal point of our throw blanket, with elaborate Celtic knots and subtle green shamrocks setting the tone for the background and surrounded by an ornate border. 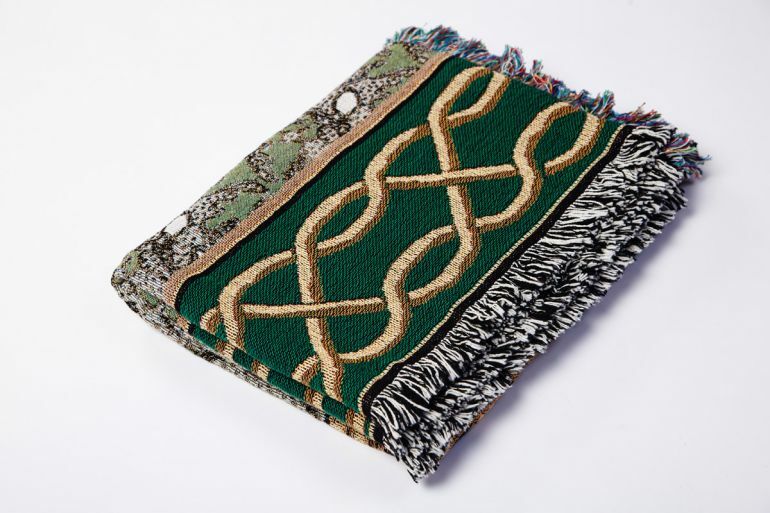 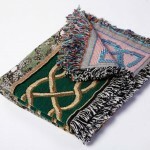 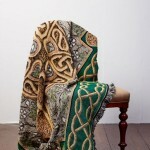 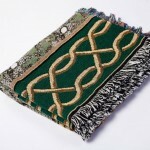 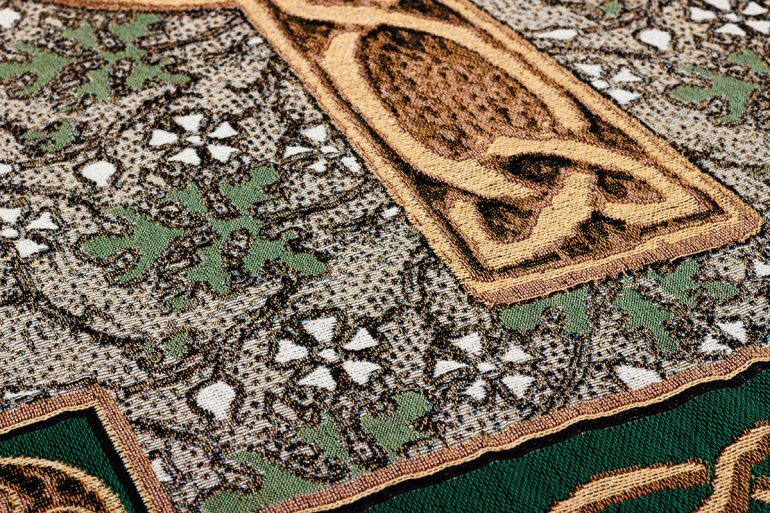 History, spirituality, and luminous colours are all woven into this stunning throw. 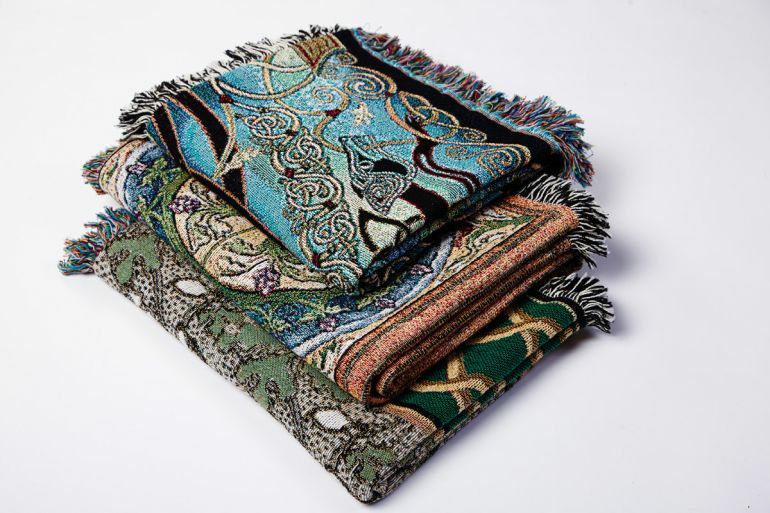 Eight miles of 100% premium quality, colour-fast cotton are woven into every throw blanket. 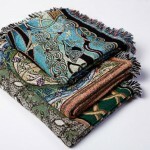 The tapestry-style throw has the vibrancy and luscious soft feel that is achieved only through jacquard weaving. 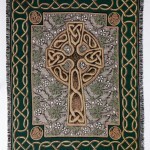 It is said that St. Patrick introduced the Celtic Cross during his mission to convert Ireland’s population to Christianity in the 5th century. 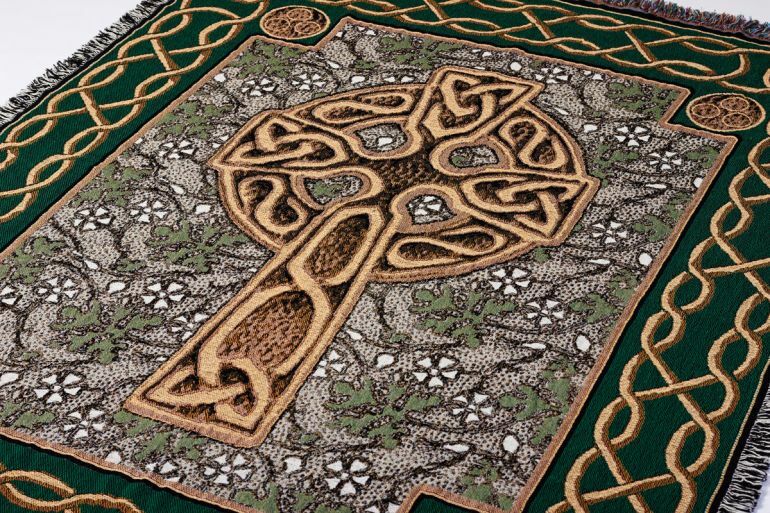 One theory is that he combined the Christian cross with the pagan sun to give newly converted followers the idea of the importance of the cross by linking it with the symbolism of the life-giving properties of the sun. 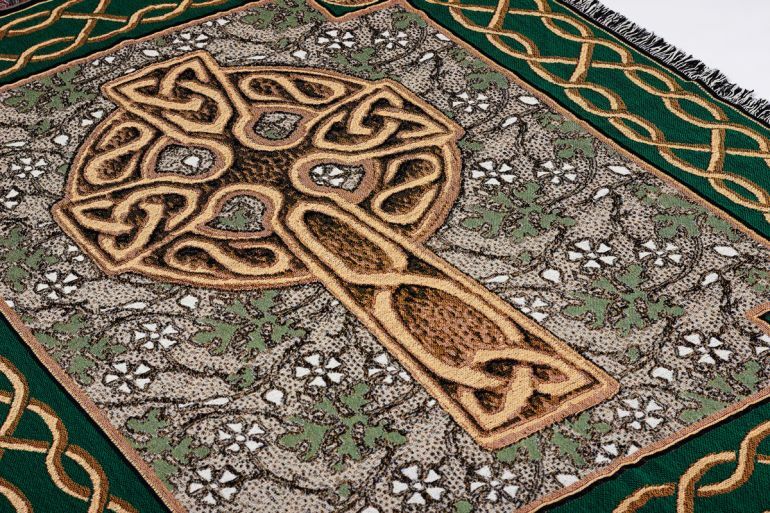 Others say that placing the cross on top of the circle represents Christ’s supremacy over the sun, which was worshiped by the pagans. 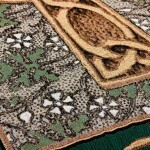 We will never know for sure. 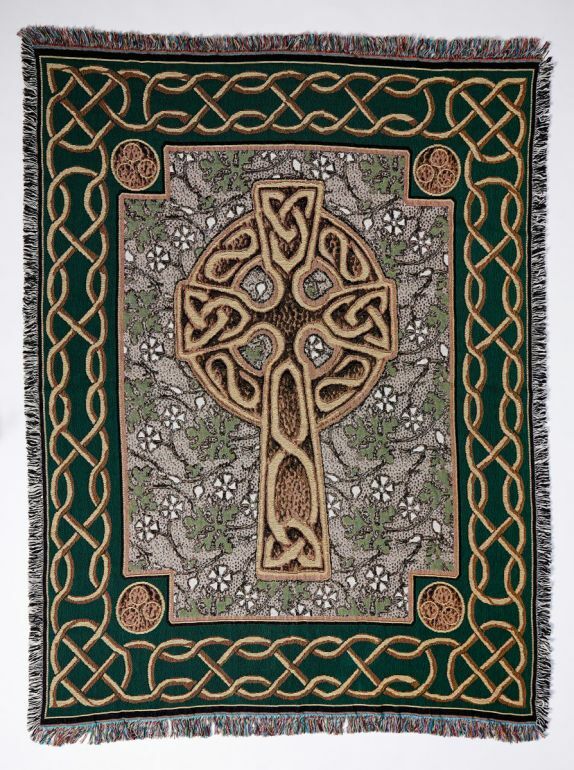 But we do know that the Celtic Cross is synonymous with Ireland, and that this throw makes a wonderful gift for anyone with Irish pride.